Talent Planning - Hawk Eye To Business's Success! | Business Article | MBA Skool-Study.Learn.Share. Talent Planning - Hawk Eye To Business's Success! There is an organization which was setup by Mr. XYZ, 40 years back. He met with an accident a few years ago and the complete responsibility of managing the organization was put on the shoulders of Mr. ABC, the son of Mr. XYZ. He is himself an MBA from one of the top B- schools in the country and in contrast with the management his father used to have, he has 5 directors in the board who are also highly qualified and have experience in diversified fields that also include rubber industry. One certain day, the workers in the factory call on a strike for wage hike. Now, if Mr. ABC is not able to fulfill the demand of a hike in wage, there is a huge probability that all the workers will either stop the work or leave the organization. It will not be difficult for the workers to find a suitable job according to their demand in other parts of the country, if not the city in which they were working till now. Now, we have one question in mind- What will happen to the million dollar rubber organization that was setup by Mr. XYZ 40 years ago? Yes, it will not be difficult for them to again search efficient workers, but now there is a question—how much time will it be required to search workers with the diversified skills and efficiency? Mr. ABC with the highly qualified board of directors will definitely find it difficult to acquire the best talent that they used to have. Yes, the employees and workers who are at the lowest level on the designation ladder are the most important stakeholders of an organization. In the corporate world today, all the firms are trying to acquire and retain the best talent. This competitive scenario has altogether started a special field of “talent management and planning” in the planet of HR management studies. Talent planning helps an organization to place itself by constructing a pipeline of effective talent (in view of the organization) that ensures success in the future. The organizations have tried to bring in new processes related to talent planning which include steps from acquiring the best talent to nurture him/her according to the organization’s requirements and then retain the talent for a long time. The strategic processes involve planning and a management body that can answer to uncertain events during the execution of the steps. A small example of an uncertain event will be—“A talented worker leaving the work because of an inefficient manager lacking in important soft skills”. Talent planning provides the hawk eye to an organization to increasingly focus on identifying the individuals having required potential to structure and formulate significant short-term and long-term plans and accordingly execute those for the overall success of the business. Organization’s core competency depends on the core competencies of each individual. This may not be the case with all the business functions but yes the important functions like market-sensing, customer acquisition process, customer relationship management and a few others are wholly dependent on the competencies of the individuals. Before we delve into the stages of talent planning process and the important steps involved, let us quickly see the importance of highly efficient and talented workers in the value delivery process of the marketing chain. (a) Choosing the value: - This stage of value delivery process involves the processes of customer segmentation to value positioning. Now, we have the question in our minds—how efficient talent planning can help the organization to prosper in regards to choosing the right value and at the right time? The efficient individuals in the organization who are effective in dividing the market in various segments and accordingly position the values of the organization can be also given the task to focus on the market selection process. The best talent must be chosen and a proper talent planning and management process must be formulated to retain the talents for a longer period of time. A small example will clear the idea—the talented brains which have segmented the market into various focus zones are the best people to sell the products at the best prices. Now, if the organization doesn’t has a proper talent planning process in place, it will be difficult to retain the talents because, the company sales is directly proportional to the efficiency of the individuals. The competitors will definitely lure those talents minds with higher wages and more attractions. So, we can infer that Company Sales and Organization’s Success, both are directly related to Talent Planning Process. (b) Providing and Communicating the Value: - A well-developed talent planning and management process will help the organization to effectively manufacture the products as well as to price, source and distribute well. The competitive market is slowly adding another stage in the value delivery process and i.e. “Communication of the value that your organization holds”. Yes, the values that the organization possesses must be advertised and promoted in the most suitable way. The work doesn’t get over once you are done with promotion. It also includes carrying the value for a long period of time through efficient managers and sales staff. How talent planning does affect the value promotion and carrying the values for a time period? A small example to clarify the idea—A well efficient and talented worker has the intelligence to effectively communicate about the products that is prepared under his/her supervision. A person, who is well aware about the sentiments of the market and the people, can communicate things better. A well-managed talent planning process will help the organization to retain such a kind of employee for a longer time period. Yes, the organizations are gradually getting that, an efficient employee with a higher package who can communicate the values well is much better than a handful of employees taking less salaries but unable to understand the sentiments of the market. Now, that we have already understood the requirement of a well-developed and well-managed talent planning process, let us understand the steps in detail. (a) Understanding the Requirement: The beginning step in the talent management and planning process. Job specifications and job descriptions are prepared. (b) Sourcing the Talent: - A talented database designer may not be effective in writing a C program. This stage of the talent planning process looks into such matter where the best talents are targeted according to the requirement in hand. (c) Attracting the talent: - The best professionals whose intelligence has been used by the organizations (in which they are working) to reach the zenith of success will always be attracted by other corporate firms in the same domain. (d) Recruiting the Talent: - As the name of the stage says, the organizations in the present world are edging over one another to recruit the best talent at salaries that the organization can pay and which is better in comparison to the other organizations in the market. (e) Training & Development: - Your organization has already got the best talent. Now the job is to nurture them according to the requirements of the projects. (f) Retention: - It is the most challenging stage in the whole process where even a small mistake on the employer’s behalf may prove detrimental to the whole organization. (g) Promotion: - The corporate world knows that if somebody is not promoted at the right time to the right post, it affects the emotional mindset of that employee. Organizations are trying to retain the employees with attractive promotions and bonuses. (h) Performance Appraisal: - Promotion is necessary to retain an employee but appraisal is required to keep the intelligence of the employee in an active state. (i) Career Planning: - The organizations must understand the efforts of the talented employees in due course of time and accordingly think about the career planning prospective. Talent planning and management is now a bigger concern for the organizations as compared to a few years back. Organizations must look forward to formulate well-crafted solutions to execute the stages of the talent planning process. Careful planning, concluding in a proper talent strategy which is mainly connected to the organization’s complete business strategies and requirements, is needed for talent planning and management to get imbued in an organization’s practices and culture. This article has been authored by Tirthankar Talukdar from XIMB. 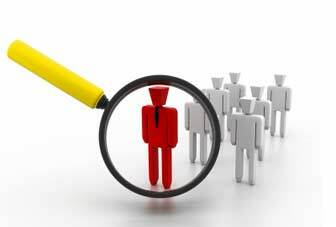 Freshers Recruitment in Companies: How to make Wise Decisions?